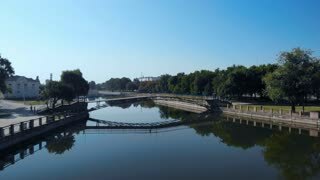 Drone flying forward over meandering river. Aerial shot of beautiful European rural landscape. 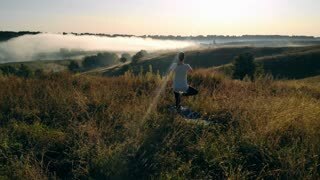 Bright summer field 4K. 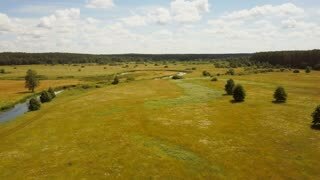 Drone flying low over summer meadow and river. Aerial shot of calm countryside valley landscape. Bright sunny field 4K. Drone flying along European rural landscape. 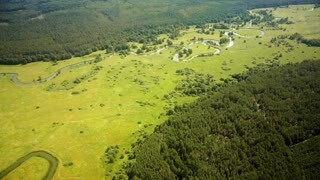 Aerial shot of beautiful nature, forest, green meadow field and river. 4K. Drone flying backwards high over countryside. Aerial shot of incredible sunny nature landscape. 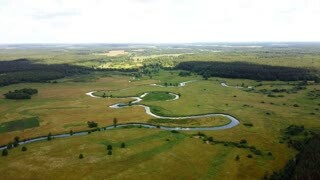 Meandering river. 4K.